Home > JULY 2016 > Verizon buyout of Yahoo: Ten Major things to You know..! Verizon buyout of Yahoo: Ten Major things to You know..! Internet pioneer Yahoo has finally sealed the deal to sell its core online assets, ending a 20-year run as an independent company. 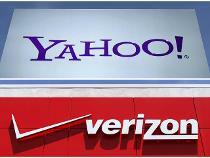 US telecom giant Verizon Communications has bought Yahoo's search and advertising operations today for $4.83 billion.